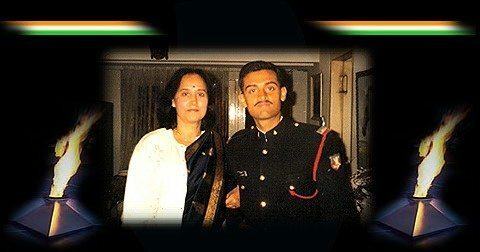 Capt Vijayant Thapar was born on 26 Dec 1976 in a military family to Colonel V N Thapar and Mrs Tripta Thapar. Having brought up in the army family Capt Thapar always wanted to follow in the footsteps of his father. 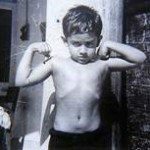 In his childhood, he would often play with a gun and march around wearing his father’s peak cap and holding his cane like an officer. He pursued his dream and worked hard to get selected in IMA Dehradun. 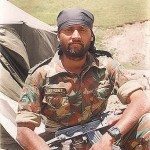 He did exceedingly well in his training and was commissioned into 2 Rajputana Rifles on 12 Dec 1998. 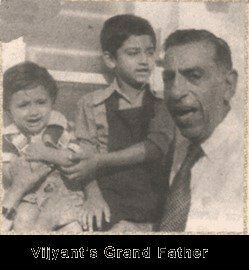 Capt Vijayant was always fond of outdoor activities and in the evening would invariably be in the Paltan (Battalion), watching wrestlers, boxers, and other sportsmen. As a person, he was very kindhearted, considerate and frugal. He took to religion early in his life and wanted to live the life of a Puritan. 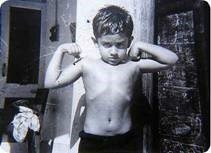 He maintained a balanced diet and worked hard in the gym in order to be fit. 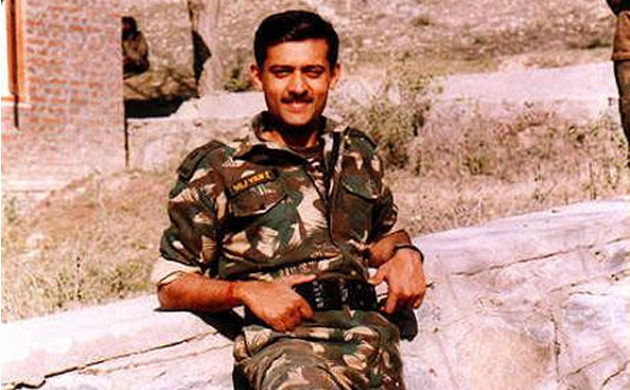 Capt Vijayant’s first unit 2 Rajputana Rifles was at Gwalior in 1998. 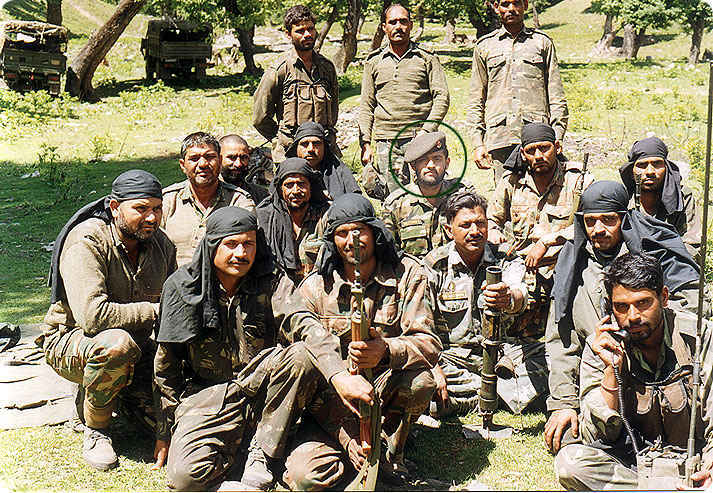 He stayed there for a month before the unit moved to Kashmir to undertake anti-insurgency operations. 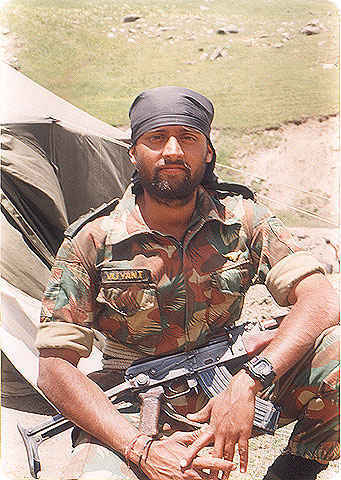 Here Capt Vijyant was involved in two fierce encounters. While talking to his mother on the telephone he described how he lived through a live encounter in which about thirty bullets were fired at him. Later his unit was tasked to move to Drass in Kargil sector to undertake operations against Pak forces who had occupied Tololing, Tiger Hill, and adjoining heights. 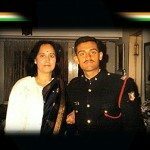 On 11 June 1999, Capt Vijayant’s battalion under the command of Col M.B. Ravindernath, was tasked to capture the feature Tololing. After the initial assault by Major Mohit Saxena was held up, on the night of 12th June’99, Capt Vijayant Thapar led his platoon to capture a Pakistani position called Barbad Bunker which proved crucial for the onward battle for Tololing. During this attack 2 Pakistani soldiers were killed in the melee of fire from sides and behind. Tololing was the first victory for Indian army on 13th June 1999 and was the turning point in the war. Later on 28 June, 2 Raj Rif was given the task of capturing Three Pimples, Knoll and Lone Hill area. The attack started with Capt Vijayant’s platoon leading on a full moon night along a razor sharp ridge with no cover to offer. There were intense and accurate artillery shelling and heavy enemy fire. He lost some of his dear men and some more were injured causing the attack to be disrupted. However, with his indomitable spirit and strong determination, he moved ahead along with his troops through a ravine to face the enemy. It was a full moon night and was a very difficult position to capture. The troops of enemy’s 6 Northern Light Infantry had all the advantages. At 8 PM the attack commenced when 120 guns opened fire and rockets lit up the sky. In this heavy exchange of fire 2 Raj Rif moved with Capt Vijayant Thapar leading the attack. Among the first to fall in this battle was Sep Jagmal Singh, Capt Vijayant’s very dear orderly. Finally, Capt Vijayant’s company secured a foothold on Knoll. 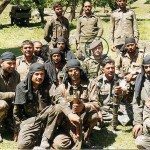 By this time his company commander Major P Acharya had been killed. Enraged at this news, Capt Vijayant surged ahead with his comrade Naik Tilak Singh. Both of them started engaging the enemy merely 15 meters away. There were three enemy machine guns firing towards them. After about an hour and a half of fierce exchange of fire Capt Vijayant realized that the enemy machine guns had to be silenced to continue their advance towards their objective. The ridge beyond Knoll was very narrow and sharp and only 2 or 3 soldiers could walk abreast. The danger of getting killed here was very real and therefore Capt Vijayant decided to go ahead himself with Naik Tilak Singh. Capt Vijayant in a daring move surged ahead to do that but was hit by a burst of fire that struck him on his head. 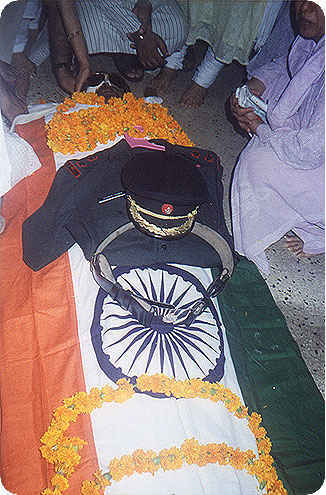 He fell in the arms of his comrade Naik Tilak Singh. Capt Vijayant was martyred but motivated by his daredevilry and leadership, his troops later charged at the enemy and fully captured Knoll. The victory at Knoll on 29 June 1999, is a saga of unmatched bravery, grit and determination. Capt Vijayant Thapar was awarded, “Vir Chakra” for his gallantry, unyielding fighting spirit and supreme sacrifice. 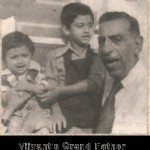 Capt Vijayant Thapar is survived by his father, an Army veteran Col V N Thapar, mother Mrs Tripta Thapar and brother Vijender Thapar. 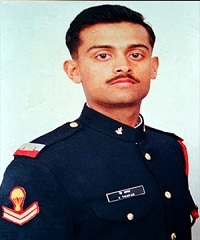 On 28 June 1999 Captain Vijyant Thapar was commanding the Leading platoon of Alfa Company, which was tasked to assault area Knoll in Drass Sector from the north during Operation Vijay. While advancing, the platoon was hit by accurate enemy artillery barrage and it suffered heavy casualties. Captain Thapar organized evacuation of the casualties and quickly rallied his shell-shocked platoon for the attack. Personally leading the attack from the Northern face against enemy’s Medium Machine Gun fire, which was holding up the Company’s assault, he fearlessly charged at the enemy position firing from the hip and throwing grenades. During this act, he was grievously injured in the hand and stomach but continued to advance ordering his men to follow him. Roused by the actions of their young Platoon Commander barely out of the Academy, the platoon charged up the hill against the dominating enemy position. This audacious action unnerved and forced the enemy to abandon a tactically superior position. The officer, however, succumbed to his injuries. Captain Vijyant Thapar, thus, displayed remarkable cool, raw courage and exemplary valour and made the supreme sacrifice while facing the enemy. A Kashmiri girl named, Ruksana had lost her speech when her father was brutally murdered by militants in front of her eyes in her village in Kupwara district of Jammu and Kashmir. The six year old’s world had come crashing down around her after her father Mohammad Akbar was gunned down by foreign mercenaries. 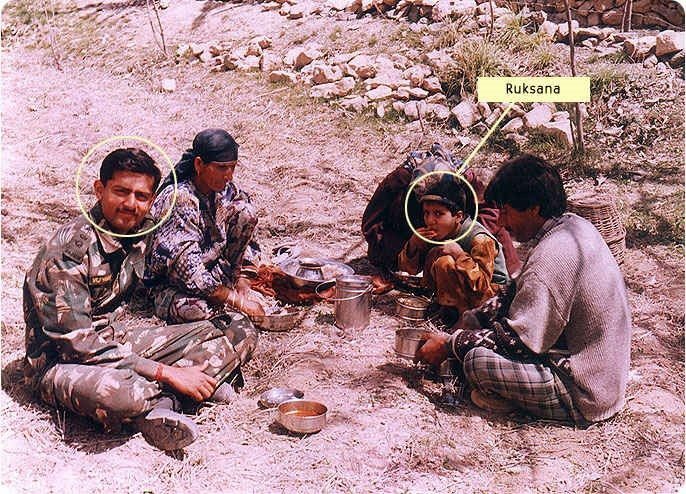 Capt Vijayant Thapar learnt about Ruksana from her aunt and started loving the child immensely. Capt Thapar and his “sahayak” Sepoy Jagmal Singh Shekhawat, would meet Ruksana whenever they got time and took sweets and toffees for her. This beautiful relationship developed into trust and Capt Thapar’s persistent efforts paid off when Ruksana started speaking again. Capt Thapar would contribute a small amount of money each month to the girl’s poor family towards her education. Minutes before going on his ‘last’ operation, the young officer, probably on a premonition, wrote to his family and asked them to take care of her. “Contribute some money to an orphanage and keep sending some money to Ruksana every month.” he wrote minutes before he was going to lead his men into battle on that fateful night of June 28. He had told his mother about Ruksana on the phone and described his beautiful relationship. Now his parents have decided to send money to her regularly. 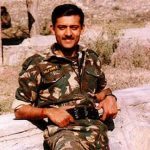 Capt Vijayant Thapar besides being a tough soldier was a fine human being with a golden heart and this touching story truly exemplifies that. “Son, The brave way you left this world, at the age of 22 is a measure of how you lived your short life and what you valued. In meeting the stark challenges of capturing Knoll against all odds, during the battle of Three Pimples with heroic coolness and single-minded devotion to duty, you have achieved immortal honour. 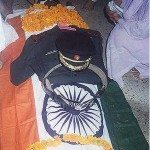 In death, you have epitomized the spirit of national pride – an honour which makes every sacrifice worthwhile. Your actions will forever inspire generations of Indians to come. You have left us with pride for being the parents of a worthy son and a lifetime of pain for having lost a child we loved”. May God bless the great family. Salute you Sir. Its because of heroes like you we breathe safely at our homes. *Respect* your legacy will live on forever. Our country will always be indebted to you and your family. Salute to you sir , i have no words to describe for your bravery that you have shown .